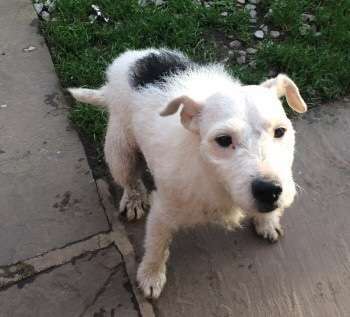 A 7 Year old Female Jack Russell ‘Pip’ was taken between Wednesday night and Thursday morning from farm buildings. She has very distinct markings, being all white, with one large black spot on her back. “We got up in the morning and the security light was on outside. “Dad’s gone out to check and he’s found all the lights were switched on and the barn door was open. “We’ve had a quick look around and found numerous tools were gone as well as our dog. “It’s very distressing, we know what they’re likely to be doing with her. 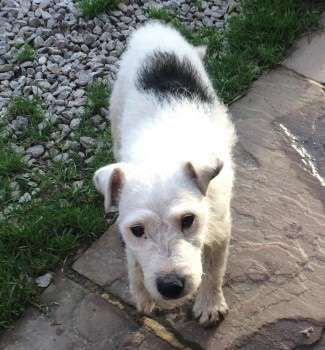 It comes as another dog and a Land Rover were stolen this week. Police are appealing for information, and warning owners to be on their guard, after a burglary at a farm in North Deighton, near Wetherby. Enquiries into the burglary are ongoing, and police are urging anyone who has any information, or saw any suspicious activity in the area, to contact them. Anyone with information can contact the police on 101, select option 2 and ask for PC Steven Peachman or Knaresborough Police. Alternatively, call Crimestoppers anonymously on 0800 555 111. Quote reference number 12170010344 when passing information.